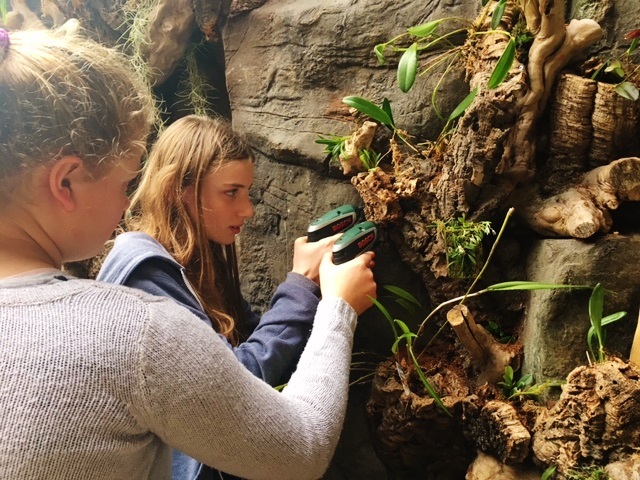 Pupils from a Somerset school have helped create a brand new orchid display at Bristol Aquarium. Students from Writhlington School, in Radstock joined resident horticulturist Wendy Desyllas and staff in the Harbourside attraction’s giant botanic glasshouse to build the new feature. The ‘Cloud Forest’ display incorporates dozens of exotic orchid species planted in to logs and branches which are, in turn, suspended off the ground on to a rockwork wall. As their name suggests cloud forests are moist tropical or subtropical forests that experience prolonged low-level cloud. “This is the latest development of an ongoing relationship between the aquarium and the Writhlington School Orchid Project,” said Wendy. 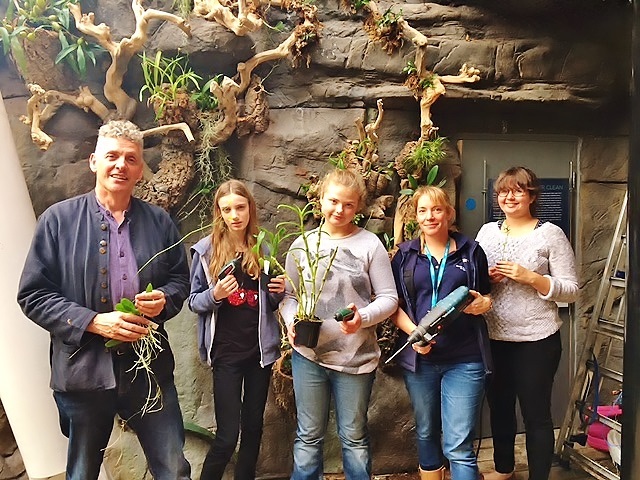 “Earlier this year we assisted with an orchid display at the Hampton Court Flower Show and in 2015 students from the school provided orchids which they had grown themselves to form another display here at the aquarium. “We’re delighted to be collaborating with them and this new display will help showcase both the amazing work they do as well as raising awareness of the importance of orchids and the habitats they live in worldwide,” she added. Writhlington School has won numerous awards for its pioneering orchid project, including a gold medal at the 2009 Chelsea Flower Show. Students have also travelled to Rwanda and are organising a trip to Kenya as part of their work. The school has its own laboratory and greenhouse where pupils learn how to care for and grow orchids from seed. The project also enables them to develop their business and communication skills while working closely with communities in Africa, Asia and the Americas to develop orchid conservation through education. For more information please contact Hannah Worrall or Wendy Desyllas on 0117 929 8228. Please see the following page to read more about the horticultural activities that take place at Bristol Aquarium in our Urban Jungle!